Members of Blackwood’s Kihonkai Karate Academy won the vast majority of Team Scotland’s junior medals at the KWF UK Championships, writes Craig Goldthorp. 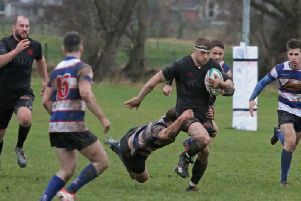 Blackburn was the venue on November 24 as the Clydesdale-based stars helped the young Scots finish top of the medal table with an overall haul of 34 gongs. 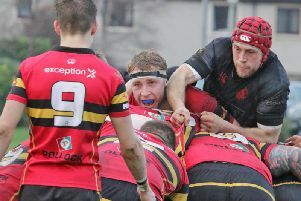 “Kihonkai kids who train at Blackwood made up most of the Scotland junior squad,” club coach Stevie Mason told the Carluke and Lanark Gazette. “They did well in this event last year and followed it up by doing well again. Kihonkai’s medal stars were: Gold – Caitlyn Tops 12 years kata & kumite; Charlie Mason 11 years kata; Corey Stevenson 12 years kumite; Erin Mitchell 13 years team kata; Fraser Hanney 10 years kata & team Kata; Jessica Gailey 14 years kata, kumite & team kata; Zhara Wells 13 years kata, kumite x 2. Silver – Corey Stevenson kata, kumite & team kata; Erin Mitchell 13 years kata; Lauren Blair 17 years kumite. Bronze – Ailish McBean 6 years kumite & tough kid challenge; Charlie Mason 11 years TKC; Erin Mitchell 13 years kata, kumite & TKC; Johnny Probin 12 years kumite; Lauren Blair 17 years kata; Lynnie McIver 12 years kata & kumite; Zak Rowan 10 years kata.